In interviews given not too long after Apple announced the Apple Watch, the man at the top of luxury watch maker TAG Heuer, Jean-Claude Biver, heaped harsh criticism onto the timepiece saying that it lacked ‘appeal’ amongst other things. He also hinted that his own firm would be making a smartwatch too. Now though, months later, the outspoken interim CEO has changed his mind. In a new interview with Bloomberg this past Tuesday, Biver did a clear 180 by lauding Apple’s entry into the growing smartwatch market, saying that not only does he think that it’s a winner, but also that he’ll likely wear one himself. That’s quite the turnaround from the last time we heard from the man. Claiming that Apple’s smartwatch is an ‘incredible achievement,’ Biver also lifted the lid slightly on his own company’s struggles to make a competing product. The first concession to be made is the loss of the ‘Swiss Made’ moniker that luxury watches tend to carry. Needing to have 50% or more of their parts built in Switzerland in order to bear the title of being Swiss made, smartwatches simply can’t boast such a fact due to the reliance on third-party manufacturers for the software end electronics that are involved. 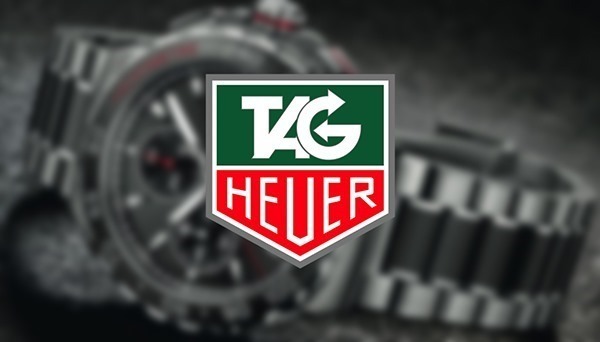 The TAG Heuer smartwatch will come in at under that 50% threshold Biver said, something that simply cannot be helped due to Switzerland lagging behind Silicon Valley in the technology stakes. While Biver confirmed that his own company’s watch will feature GPS, health monitoring features and brand-specific apps, it’s the news that he now sees the Apple Watch as more competition for its own timepieces than existing smartwatches that will catch the eye. After all, if you’re looking to spend a few thousand dollars on a smartwatch, will you buy TAG’s offering or that fancy gold Apple Watch instead? That’s the question Biver and his team should really be asking themselves. I don’t think Tag Heuer needs to worry, I wear Tags each day and the real difference is all technology is disposable whereas a good wristwatch is kind of timeless (excuse the pun). 20 years down the line, will your Apple Watch be relevant? But a Swiss-Made timepiece will be. No matter how ‘smart’ Apple Watch or any smart watch for that matter could be, I would never compare it to a real timepiece. But there is a catch. While a mechanical watch will still be considered ‘timeless’, more and more people will jump the ‘smart watch’ wagon due to all the features it would provide. Smart watches are the future, make no mistake here. I slightly agree, but there will always be people who wear Tags, Rolexs, etc. and getting them to switch to a smartwatch permanently just won’t happen. I have a Pebble as well, but I’d never wear it to a dinner party, or even an important meeting. I don’t even think smartwatches will create a dent in Swiss watchmaker sales as people who want both, will simply buy both and be able to afford it. It’s not a mutually exclusive purchase – how many people do you know who own a number of watches? Permanently as a day-to-go watch will be the spot for any future smart watch. You said it yourself – you would never wear your Pebble on an important event/party. I understand that statement and feel the same way. 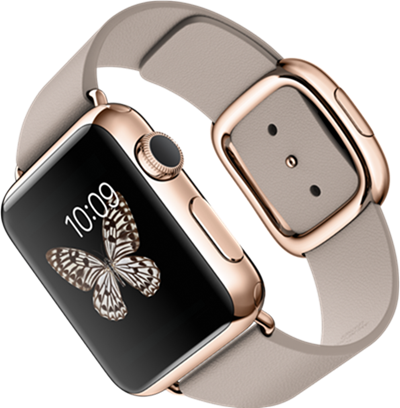 However most people will do it, even more if the smart watch has the jewelry feel/finish of the top line Apple Watches ( or any future manufacturer for that matter ). I smell conspicuous consumption here and it stinks ……….. all the substantial, creative thinking people I know either don’t wear a watch (no need these days) or if they do wear one, its a mickey mouse or similar status symbol. jony ive the idiot wants you to wear iDeadBattery. aka Wear or DIE. Period. you don’t understand the point and concept and industrial design and artistic value of iDeadBattery watch. Jony Ive the idiot will eat you alive for breakfast… just give him a second.